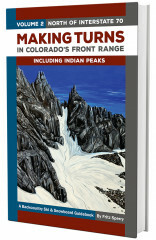 Fritz Sperry’s Making Turns in Colorado’s Front Range is quickly becoming one of our favorite guide books. Published with an excessive amount of detail, this book does everything for you except for ski. 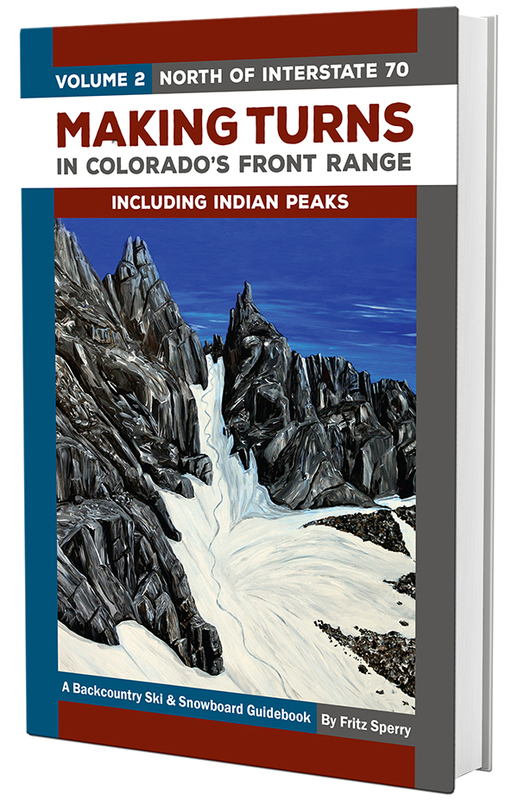 Volume 2 includes 109 of the best routes north of Interstate 70 in Summit, Clear Creek, Boulder, Gilpin, and Grand Counties. Aspect, GPS coordinates, corn timer, elevation details, and over 300 jaw-dropping pictures are included in this work of art. Interactive reading time varies, though we recommend completing it as fast as possible.